Tricycle more visible at our Key West, FL house, no those are not cycling clothes! Traveling the highways in search of new adventures started at an early age! 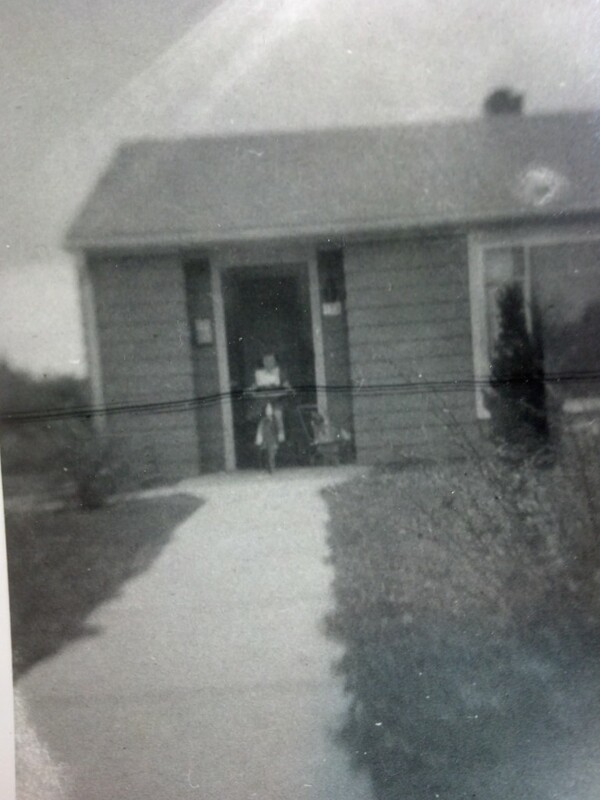 As my father tells the story, I cycled on my “three-wheeler” down a busy highway in Great Lakes, Illinois at the age of 3. It appears that my grandmother and mother were busy chatting and I was intent on visiting my father at work. The only problem was the grocery store where he worked was across a major intersection in Great Lakes. Oblivious to the traffic, I took off on my merry way, shedding shoes and socks along the way. Must have been a hot day. 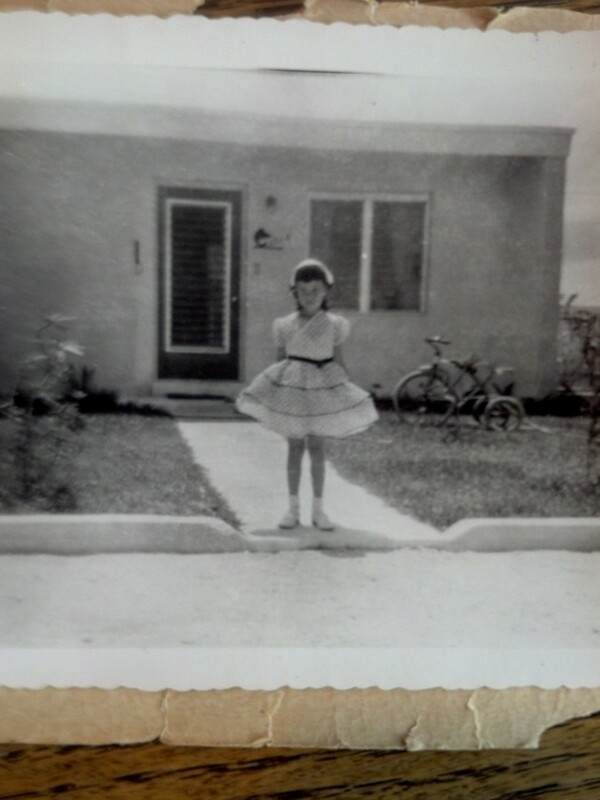 My grandmother and mother traced my route by following the shedded footwear and located me prior to my finding my father…probably a good thing because I’m sure in those days my backside would have been too sore to ride for many months had I ventured into the store on my own. My earliest memories of bicycle riding trace back to a summer vacation when I was eight, spent at a small, seaside village in France. A neighbor child loaned me his two-wheel bike and sent me off from the top of a hill. This was his way of teaching me how to ride a two-wheeler! Needless to say, I wasn’t sure of how to brake and ran into a young boy at the bottom of the hill. So ended my cycling days until I was older. I saved lawn-mowing money when I was 12 to purchase a used “paper-boy” bike. Then on my 13th birthday, I received a brand new two-wheeler and it didn’t take me long to discover the adventure trails in our town. Even at this mature age, I was not allowed to cross “major intersections”, but I traveled many miles in various directions from our home just to discover the “limits” of my world. My first geared bike was purchased with babysitting money, a three-speed touring bike that went with me from my high school days, through college and my first years of teaching. After I married, my husband decided I needed a few more than 3-speeds and I received a new 10-speed, a spiffy, blue bike that I treasured for more than 20 years of riding. This bike also transported three children in various accessories, backpacks, baby seats, and “bugger” bicycle trailers. Children did not hinder my adventurous cycling. In fact, they were the reason for many of our trips… to parks, zoos, libraries, beaches, even to their dad’s place of work… and yes, I finally was able to cross the major intersections. One memorable trip involved the first child in a babyseat, (18-months old) while the second child was still in the womb but due any day. Since it was the last day of October and I wanted a baby born in October, I decided the 16 mile bike ride to visit their dad would bring on labor… to no avail, the baby waited another 3 days to be born… he was so tired from the bike ride. While not an avid cyclist, I do continue to enjoy touring with my bike and trained for an 180 mile trek on the C & O canal trail, broken up over a three day period. My husband joined me for this three day jaunt from West Virginia to Maryland, but pooped out after the first day. In fairness to him, he hauled the backpack and was on a thin tire bike. I completed the journey on my own, meeting up with him each evening at designated towns along the way. While cheering on my three children and a son in law at the Lake Havasu Triathlon I was “lured” into the triathlon experience .I added additional cycling adventures including training programs, adding swimming and running to this old lady’s exercise routine. My first triathlon was completed along with my daughter in Winston Salem, NC. With 13 weeks of training in each sport, I felt so good I decided to do another one. Then for a brief time, walking and running took over. With a ½ marathon under my belt – I looked through an old notebook where I had written down a trail that an older woman at a local bookstore had shared with me. All she said was, “Check out the El Camino de Santiago, you will want to do that one day!” That day came in April of 2014, when my husband and I set out on bikes to complete the 500 mile trek of the El Camino de Santiago, enjoying it so much that I retired in order to complete the 2000 mile tour of Ireland in the fall. Check out my blog for the “rest of the story”.